After absorbing a legendary Pokémon, Ultra Necrozma-GX has emerged as a mysterious Pokémon with strong psychic powers! Now this amazing legendary Pokémon is ready to join your team, both as a playable Pokémon-GX and as a detailed, sculpted figure! This Pokémon adds a touch of danger and the unknown to your collection! 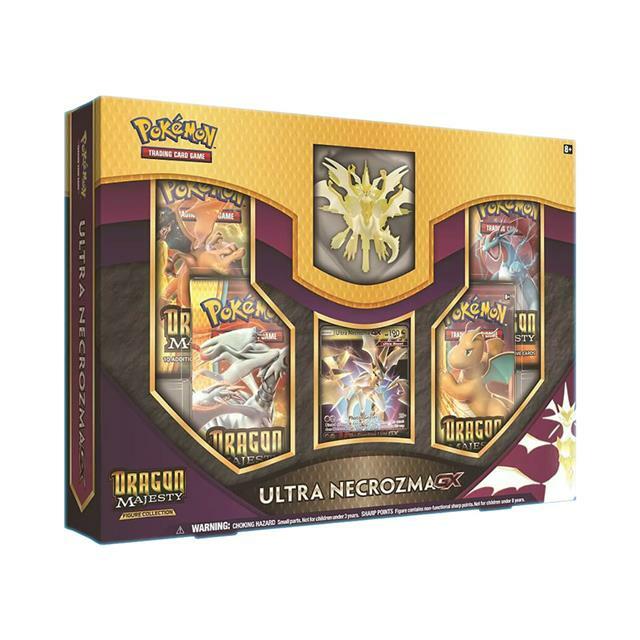 Includes 4 Pokémon TCG: Dragon Majesty booster packs, 1 sculpted figure of Ultra Necrozma, 1 foil promo card featuring Ultra Necrozma-GX, a code card for the Pokémon Trading Card Game online!